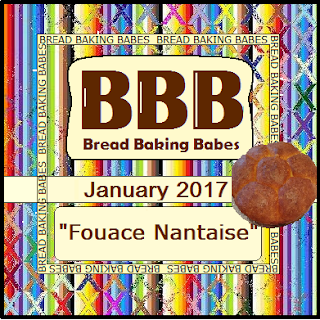 Join us this month, as we make Fouace Nantaise! I was quite happy at the prospect of the recipe for this month because it reminded me of some of my favorite orange knots that I used to make, except without an icing glaze. The orange flower water was certainly an exotic ingredient for me, though it was, thankfully, easy to find in the international section of the local grocery store. Actually, when I opened it up and smelled it, I was apprehensive because it has quite a strong floral perfume to it. And it still smelled strong when mixed in the dough. But I needn't have worried, it mellowed when baked to a delicious hint of scent, totally enhancing the "orangeyness" of the rolls. This is a very soft dough and bakes up nice and soft as well. 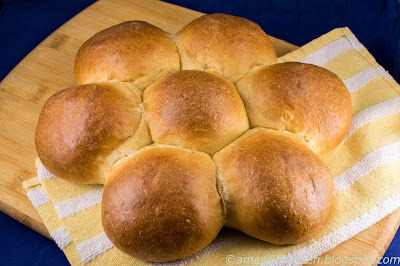 This is a delightful bread and we would love for you to bake along with us! The rolls are soft and rich and truly fabulous with creme fraiche and Damson plum jam by the way! 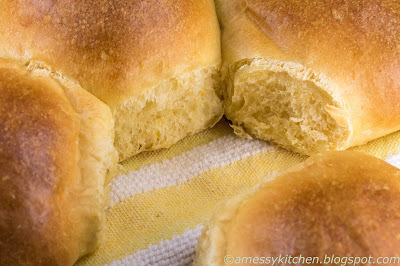 Check out the original post at blog from OUR kitchen. 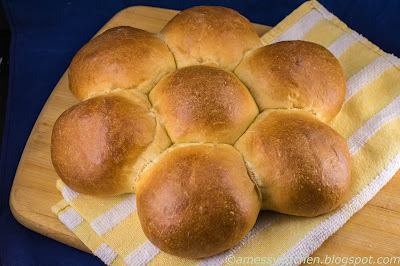 Then just bake your version of this bread by January 30th and send the host kitchen a note with your results and a picture or link to your post. Then you can be included in our buddy round up at the beginning of next month. You will also get a buddy badge graphic to keep and/or add to your post. You don't have to have a blog to participate, a picture is fine! Knead the dough using one hand to turn the bowl and the other to dig down to the bottom to lift the dough up to the top. Turn and fold, turn and fold, repeating until the dough is smooth and elastic. As you knead, resist the temptation to add more flour or water. (It is okay to add enough extra flour to the dough so that it is no longer sticky and is soft, smooth and homogeneous.) Once the dough is finished kneading, cover the bowl with a plate or plastic wrap and allow the dough to rise in a draft-free area until almost completely doubled. (Preheat the oven to 350ºF). Make sure the oven is at 350ºF. Gently brush the top of the bread with milk (or cream). Put the tray on the top shelf of the oven (to prevent the bread from burning on the bottom) and bake for about 30 minutes until the bread is a deep golden brown. Jamie also writes that the outer "petals" of the flower "will have just started to pull away from the center ball". Place on wire rack to cool. Bread may be warmed in the oven for 10 minutes if it has cooled completely and you wish to eat it warm. Here's a tip for reviving any bread that has gone a bit stale: Liberally wet the outside with a spray bottle, cover with foil, and warm in the oven for 10 minutes at 250ºF. It should come out just like fresh baked. How beautiful! I am so curious to see how everyone's turned out and to see how you each adapted and personalized the recipe. Just perfect! I found it really surprising that the dough smelled so strongly of oranges, but the bread itself was just faintly orangey. Orange knots? I'm intrigued!! Please tell us more. Perfect Kelly! shape and color. Yes I too loved the golden zest in the dough. I've got to try again for more rise. 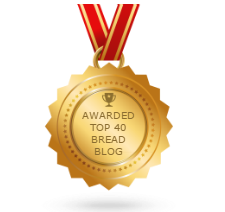 I must say I really like the look of this bread in white flour, must do that next time too. 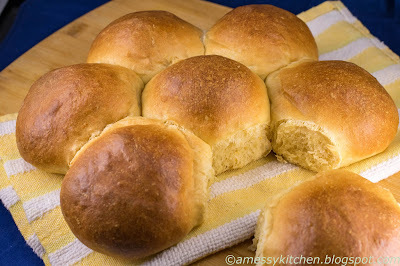 Your rolls look very pretty! Good idea to add more yeast! Your loaf looks so perfect Kelly! Your bread looks lovely! I like that you used spelt. It doesn't look like it though. It looks so buttery and smooth! Very nice! Good golly, I love your tip on reviving stale bread, especially as a brioche style bread like the fouace goes stale pretty quickly. Yours is lovely and I'm so happy you made it and enjoyed it! Wow - that is so perfect! And I love the light orange color!